Under-nutrition contributes to the death of over three million children each year. Poor nutrition early in life can permanently affect a child’s ability to learn, grow, and provide for his or her family in the future. One way to improve health outcomes in poor communities is through the Care Group model. Care Groups mobilize mothers and local leaders to share information about healthy practices for good hygiene, nutrition, and childcare. They also help increase use of proven health interventions like insecticide treated bed nets for malaria and oral rehydration solution for diarrhea. Here’s one example of a Care Group in Mozambique. Food for the Hungry is a faith-based group that works in more than 20 countries providing resources such as clean water, medical aid, food, education, and vocational training. Since 1997, its Child Survival Program in Mozambique has promoted healthy practices such as breastfeeding and treating malaria through Care Groups made up of 10 to 15 women volunteers. The groups meet twice a month with a paid health promoter for lessons on topics such as nutrition, water treatment, and sanitation. Each Care Group member then meets and shares information with her own cohort of 10 to 15 beneficiary mothers, relaying health information in a culturally sensitive way. Food for the Hungry began this model in one province in central Mozambique, and has now adapted it to other areas given its rate of success. At the start of the program, Mozambique had one of the highest under-five mortality rates in the world, at 153 deaths per 1,000 live births. 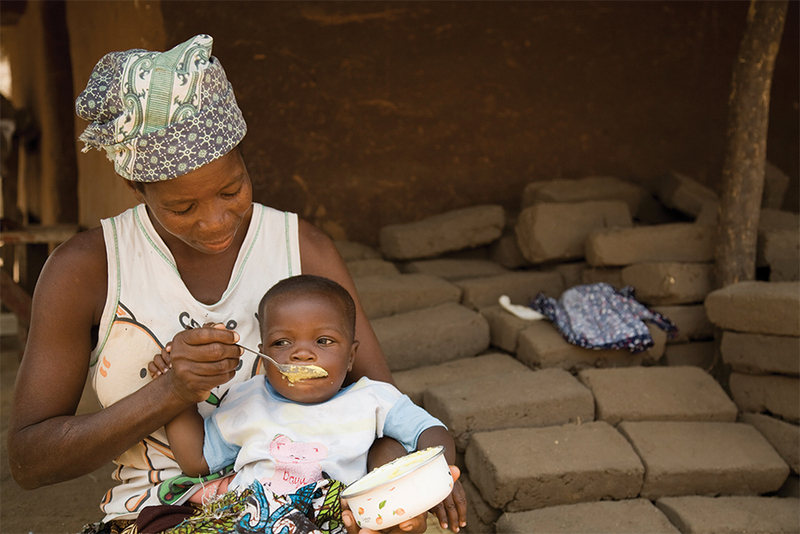 Over a five-year period, Food for the Hungry’s Care Group program in the Sofala Province of Central Mozambique reduced mortality by an estimated 30% in children five years of age, and decreased child malnutrition by 38%. The 10-year project has been credited with saving over 5,000 children’s lives. What’s more, Care Group participants have become empowered: over 60% of the volunteer mothers reported being more respected by their husbands and community leaders. The estimated cost to serve one mother is approximately $3. Based on the decrease in child deaths in the project area, the estimated cost to save a child’s life with Care Groups in Mozambique is estimated between $440 to $660. You can support Food for the Hungry’s programs in Mozambique and around the world by donating any amount. The Care Group model has been replicated by a number of other nongovernmental organizations and programs with great health impact at low cost. A review of eight Care Group projects by USAID in 2008 found a 26% to 48% reduction in under-five mortality, with an average cost of $3 to $8 per beneficiary. In addition to Food for the Hungry, you can support similar programs through Core Group, which works with its 70-plus NGO member partners to expand health practices in underserved areas including India, Nigeria, Madagascar, and Indonesia. World Relief partners with churches, communities, and governments to create sustainable development in vulnerable parts of the world such as Southern Africa and the Middle East. For a quick reference guide in assessing whether or not programs incorporate the Care Group model, download the Minimum Criteria Reviewer Checklist from https://caregroupinfo.org.